Project title: Ends of the World. Concepts of Dissolution in Greek and Latin Literature. Concepts of the end of the world and its possible reconstructions are approached in various genres in Latin and Greek literature: Didactic poetry, epics, philosophical dialogs and treatises, but also tragedies and epigrams address end-of-world-scenarios with varying extent and elaboration on the catastrophe imagined. One time only a few associated words hint to the pretexts. Another time hundreds of verses create a poetic image of end of time. Very prominent are Kataklysmos and Ekpyrosis – flood and fire disaster – as varieties of destruction. 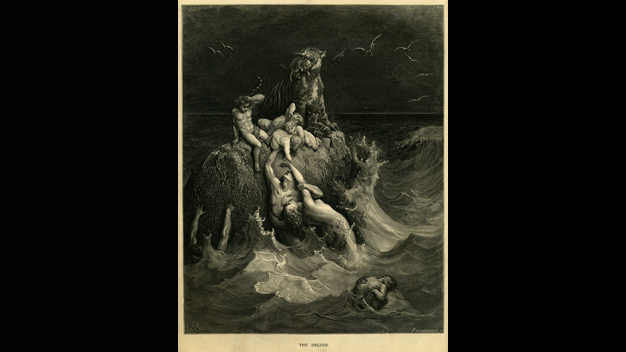 The flood appears as a myth in Ovid’s Metamorphoses with Deucalion and the fire disaster of Phaethon or in philosophical-scientific perspective in Seneca’s Naturales Quaestiones as cyclic variations of Cosmos dissolving. The dissertation’s goal is to examine the creation of Kataklysmos and Ekpyrosis according to narratology and historical discourse analysis. Under consideration for the make of the passages it will be worked out which narrative structures and motifs these are based on, which intentions lie behind their use and how they are woven into the overall context. Further on the question will be answered, how descriptions are transformed and if we can relate to discourses of this time. In this context especially alternative scenarios of dissolving come into focus, e.g. atomistic concepts of aging and decomposition of the world or Judeo-Christian apocalypse. In a third transdisciplinary step, there will be a focus set on the concepts of the end of the world of those civilizations that are supposed to have a cultural exchange, like the ones in ancient Near East. Afterwards, researches on the conceptions of pre-Colombian American societies will be used as a corrective to classify the conceptions into the overarching context of universality and specificity.